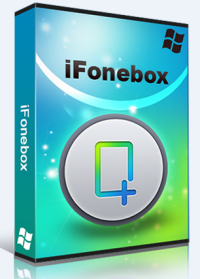 iFonebox for Windows is an Easy-to-Use iOS data recovery software designed for iPhone/iPad/iPod users to recover deleted/lost data such as photos,contacts,messages,notes,calendars,etc. it is 100% Safe and Reliable. What iOS data can iFonebox for Windows retrieve? Which iOS devices iFonebox supported ? 1. Easy to use and safety: recover data only 3 steps, no prior recovery experience required; and it works 100% safe. 2. Two Recovery Modes: Directly scan and recover data from iPhone, iPad, iPod without iTunes backup; Retrieve lost or deleted data by extracting iTunes backup files. 3. Preview before Recovery: iOS Data Recovery enables you to preview photo and read details of messages, notes, calendar, call logs, and more. 4. Selectively retrieve files: Selectively recover what you want by selecting it from the scan result, which iTunes CAN’T do for you.